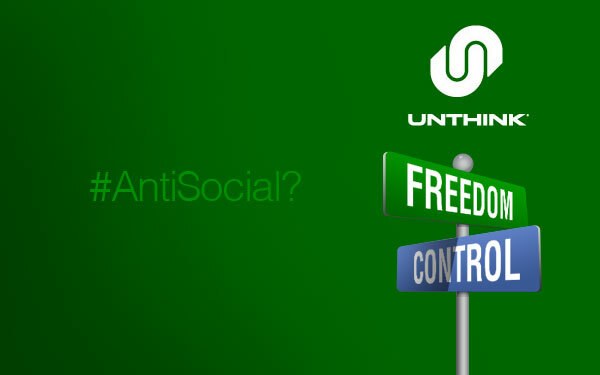 Home / Social Media / Unthink: The Anti-Social Network? Are you sick and tired of playing victim to Facebook’s nefarious, ever-changing privacy practices? Are you exhausted from all of those hours spent trying to get reoiriented with Facebook’s interface after another zany redesign? Have you had it with those tiny ads on each side of your screen, ruining the serenity of your social networking experience? Well friends, it’s time to break free from the chains of Facebook and trade that Farmville plantation for emancipation! It’s time to realize your long-oppressed dream of absolute social networking freedom! It’s time to sign up for Unthink! Unthink is a newly launched (and horribly named) social network aimed at Facebook haters, Google Plus haters and haters in general. Unthink’s big selling point is that it gives users absolute control over what personal information they share and with whom they share it, so you must no longer withstand those keyword ads mocking you from each side of the screen. In tune with its theme of “social networking freedom,” Unthink users are given a deed to a profile that consists of three distinct streams, each tailored for different audiences.  There’s a stream for the general public, a stream for friends and a stream for businesses and brands. Each stream is closed by default, and users have tight control over who gets access. Though all of this social-networking-freedom talk is well and good, having spent the past week noodling through the beta, I’ve come to the conclusion that Unthink is well built, well intentioned and well on its way to failure. Why? Because Unthink has positioned its brand based on the falsehood that people hate Facebook when clearly, they don’t. In fact, when it comes right down to it, people love Facebook. Just think about it: If Facebook shut down tomorrow, there would be panic in the streets, huge lines at gas stations, a run on milk and bread at the local grocery. Hordes of workers would resume being productive at their jobs. Absolute pandemonium! If upstart Unthink hopes to compete against titans like Facebook and Google Plus, they must portray themselves as the place to be instead of just attacking the competition. Vilifying Facebook simply isn’t going to work. Also, it wouldn’t hurt to Rethink the name. Thanks for the post! I never understood why people were so terrified of privacy issues or of advertisers offering them relevant ads. Advertisers are wasting their dollars putting downy ads in front of me, and I commend them for using the market research at their disposal to discover that. I like my clicks counted because it aims progress in a direction that takes my tastes into consideration. If my browsing habits and interests were concealed, then progress would not take my tastes into consideration and I’d be left out of the future. Google’s great advantage over Yahoo was not only the minimalism, but also that it better connected users with ads relevant to them. The audience for Unthink, then, would be conspiracy theorists, shut-ins, and cult members? Put those groups together and you do have an audience, but they probably tend not to be the social networking types.